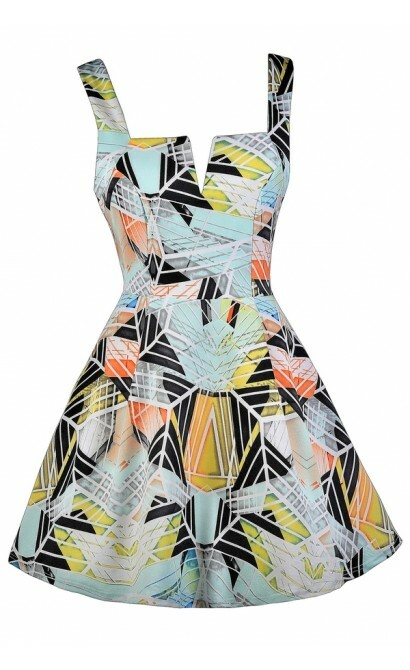 The bold graphic linear print of this dress is fun, whimsical, and unexpected. 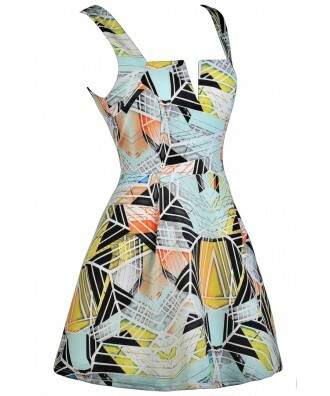 The Line and Design Printed A-Line Dress is fully lined and is made of a flowy fabric with a multi-colored abstract print throughout. 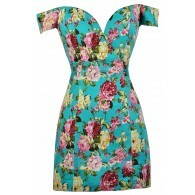 It has wide shoulder straps and a square neckline with a V dip in the front. The empire waist gives way to the flowy A-line skirt. The skirt has an invisible layer of tulle underneath, giving it volume and structure. A hidden back zipper completes this dress. The Line and Design Printed A-Line Dress is perfect for your next party--show everyone you can have fun with fashion with this cute dress! It looks cute paired with beige or black wedges or pumps. 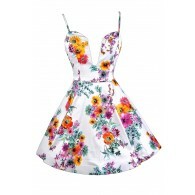 You could also dress it down with flat sandals for a cute day look. Details: Made in USA. Fully lined. Hidden back zipper. 96% polyester, 4% spandex. Lining: 100% polyester. Hand wash cold. Do not bleach. Hang or line dry. Small measurements: Length from top of shoulder to hemline: 33". Bust: 33". 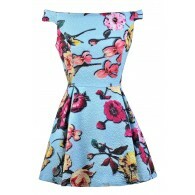 You have added Line and Design Printed A-Line Dress into Wishlist. 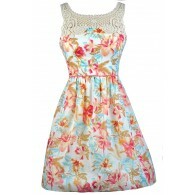 You have added Line and Design Printed A-Line Dress for Stock Notification. 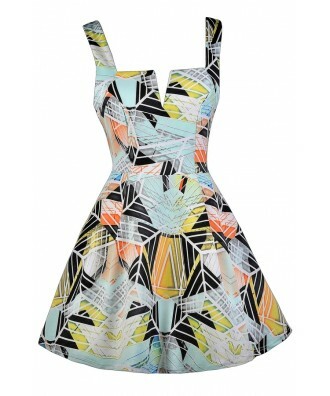 You have set Line and Design Printed A-Line Dress as a loved product. 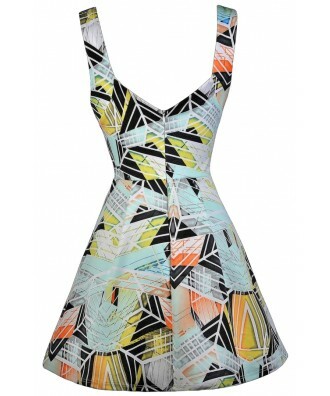 You have removed Line and Design Printed A-Line Dress as a loved product.